HotBot is a web search engine currently owned by Lycos. It was launched in May 1996 by Wired magazine. In the 1990s, it was one of the most popular search engines on the World Wide Web. 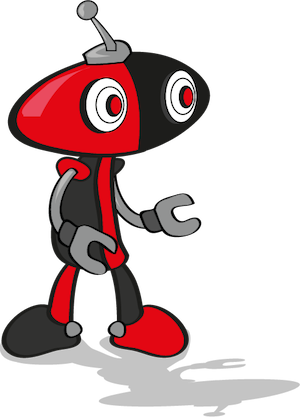 HotBot became a popular tool with search results served by the Inktomi database and directory results provided originally by LookSmart and then DMOZ since mid-1999. Hotbot also used search data from Direct Hit for a period, which was a tool that used click-through data to manipulate results. It was launched using a "new links" strategy of marketing, claiming to update its search database more often than its competitors. It also offered free webpage hosting, but only for a short time, and it was taken down without any notice to its users. It was one of the first search engines to offer the ability to search within search results. Lycos acquired HotBot in 1998 and for a number of years HotBot languished with limited development and falling market share. At the end of 2002 HotBot was relaunched as a multiple option search tool, giving users the option to search either the FAST, Google, Inktomi or Teoma databases. Up to 2011, the HotBot website was merely a front end for three third-party search engines (Yahoo.com, MSN, and lyGo.com). The site still had an outdated classic design, and to search with HotBot, one had to click on which search engine of these three to use. In July 2011, HotBot was relaunched with a new robot-like mascot, a new logo, and a modern site design. In the beta, HotBot became a portal, returning not just web search results, but also searches from various Lycos websites, such as News, Shopping and Weather Zombie. The portal interface lasted for roughly 6 months, and these features were instead reincorporated into the 2012 Lycos website redesign, returning HotBot to a simplified search interface. In early 2004 Lycos launched a beta release of a free toolbar search product, Lycos HotBot DeskTop, which the company said was "the first product to integrate traditional desktop search with Web search within the browser." The HotBot DeskTop could search the Internet using Inktomi, e-mail folders for Microsoft Outlook or Outlook Express, and user documents stored on a hard drive. It also incorporated a blocker for pop-up ads and an RSS News Reader syndication. Indexes created to track e-mail and user files remained stored locally to protect user privacy. Text-based ads were displayed when viewing results for several types of Internet searches. Lycos licensed dtSearch technology to power the local search options.